Many insults are flung in “Fear,” sometimes behind backs, sometimes right in the kisser. Most are from Trump. He said to Porter about Priebus: “He’s like a little rat. He just scurries around. You don’t even have to pay any attention to him.” He calls Attorney General Jeff Sessions, in Porter’s presence, “mentally retarded” and mocks his accent. Mike Pence, the vice president, comes off as a glorified golf caddy who doesn’t want to rock the boat lest Trump tweet something mean about him. Stephen K. Bannon, Trump’s former chief strategist, simmers frequently in this book’s background. About Melania Trump, Bannon says: “Behind the scenes she’s a hammer.” Ivanka Trump and Jared Kushner are seen by nearly all parties as pointless. “They were like a posse of second-guessers, hovering, watching,” Woodward writes. He does describe how Ivanka got her father to talk to Al Gore about climate change. 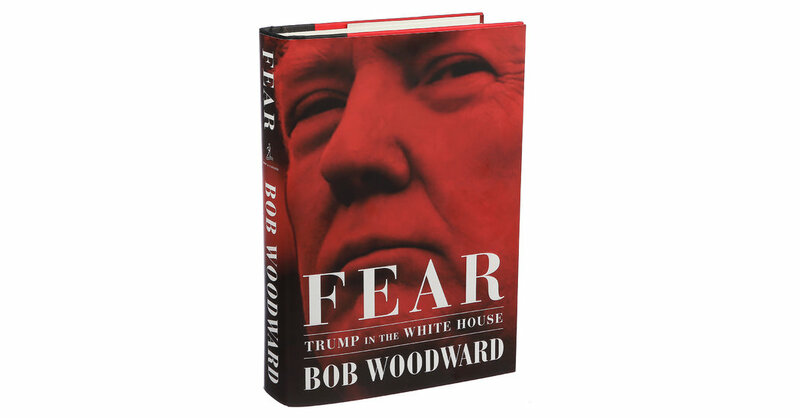 Robert S. Mueller III’s investigation rattles Trump to his core in “Fear.” Woodward suggests that the president is right, at least in one regard, to be aggrieved. The intelligence report from the C.I.A., the National Security Agency, the F.B.I. and others about Russian interference in the 2016 election was an airtight document, he says. Why then did James Comey, then the F.B.I. director, also introduce the so-called Steele dossier?